Prince William hinted that he and the Duchess of Cambridge have disagreements with Prince Harry and Meghan Markle before rumours of a rift surfaced. 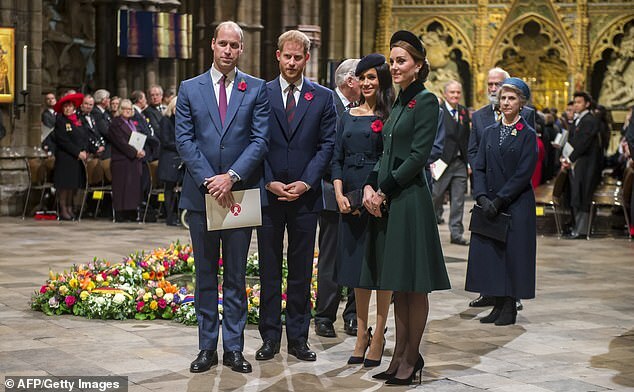 Rumours of a rift between the four Royals originated with reports that Kate Middleton and the Duchess of Sussex had been arguing. In an interview the Duke of Cambridge confirmed that there are disagreements within the group. Journalist Tina Daheley quizzed the so-called Fab Four in February last year during the Royal Foundation Forum. Prince William responds first, saying ‘oh yes’, with his brother quickly adding that they are ‘healthy disagreements’. Harry steered the topic back towards the serious message, adding: ‘I think it’s really good we have got four different personalities and we all have that same passion to make a difference.